Steven Gerrard has offered special praise to one player in particular after seeing his U18s team secure a 3-2 home win over Blackburn Rovers. The Reds survived a tense finish on Saturday to hold on for victory in their first home game of the season, with a number of young starlets impressing in front of a large crowd. 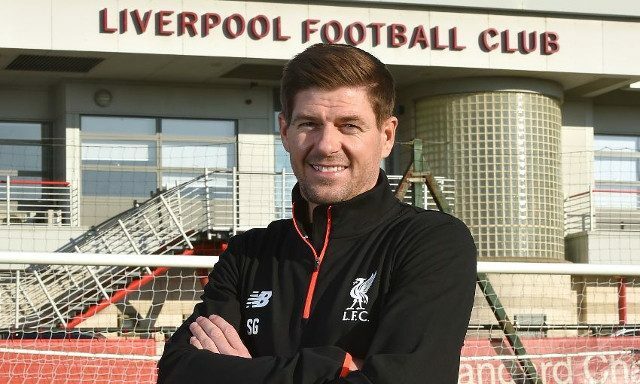 Fans came out in their numbers to not only see Gerrard, but to also get an insight into the level of talent the Anfield legend is working with in his new job. One standout performer was 16-year-old Edvard Tagseth, who, besides turning heads with an all-action display, scored his side’s opener and assited Glen McAuley for Liverpool’s third. “I thought he was excellent all over the pitch,” Gerrard told Liverpoolfc.com. The Norwegian completed his move to Liverpool at the beginning June, arriving with a glowing reputation and having already been hailed for his natural technical ability on the ball. Gerrard also admitted to kicking every ball and making every pass in the game as his team resisted a late fight back from Blackburn. It’s been a promising start for Gerrard in his new role and one that has naturally inspired even more Reds to keep up to date with the progress of club’s youngsters. With Tagseth making an instant impression, the presence of the legendary Reds skipper won’t be the only reason fans head down to the Academy.